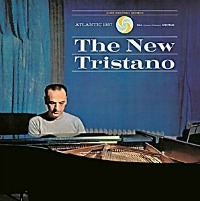 Researching notes for the forthcoming Don Friedman album discussed in this post a couple of weeks ago led me to revisit the original Lennie Tristano recording of “Requiem.” Friedman includes the piece on his CD. 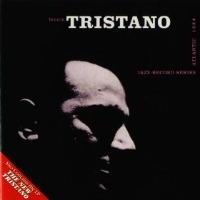 Tristano recorded it with his trio on the death of Charlie Parker in 1955. A dirge with overtones of the romantic classical period that transforms into a slow blues in F, “Requiem” carries an impact that gives the lie to critical potshots over the years accusing Tristano of an intellectual approach that shut out emotion. There is plenty of emotion in the trio tracks with bassist Peter Ind and drummer Jeff Morton and in the remarkable live quartet performances, also recorded in 1955, at New York’s Sing Song Room. The quartet features Tristano’s most prominent student and adherent, alto saxophonist Lee Konitz, with bassist Gene Ramey and drummer Art Taylor. Captured in superb early two-track stereo, the repertoire is standard songs, with Konitz at the top of his lyrical game and Tristano at his most relaxed, inventing lines that in places reflect his admiration for Parker and elsewhere spring from the well of originality that made him such an influence on other pianists. In all, the reissue in 1994 of these Tristano albums together makes the CD a basic repertoire item in any serious collection. It should continue to be available to inspire developing musicians and for general enjoyment. It’s incorrect to say Tristano recorded “Requiem” “with his trio”. It’s ostensibly a completely unaccompanied performance, apart from the (sometimes disputed) fact that the background chording in the left hand was recorded first, then played back at a slower speed. This has the deliberate result that the overdubbed right hand line, when reverted to the speed of the original backing chords, has a sharper tone than Tristano would have achieved otherwise. Those who don’t believe there’s overdubbing involved in this piece (unlike “Turkish Mambo”, where its’ obvious) should note that, in the last chorus before the fade, the left hand chords and the right hand melody are joined by a third hand playing quiet tremolos in the middle register. Lennie told me that Dizzy had just called him and he went immediately to his studio upstairs to record his feelings on the piano. What was first, Lennie’s solos of “Line-Up” & “E. 32nd”, or the bass ‘n’ drums accompaniment of the two solos? 2nd question: Didn’t Lennie record both solos first in the deep register, then played it back one octave higher, respectively doubled the speed/ pitch, and then added the bass ‘n’ drums tracks to both parts? I ask, because this piano sounds “unreal” somehow, a crystalline sound one could only achieve by playing those lines slowly and as accurate as possible in the deep regions of the piano, then speeding/ pitching them up. Yes, the piano on the two trio tracks was recorded at half-speed, but that only makes sense if he had the bass and drums pre-recorded and then slowed down BEFORE soloing on top. Okay, Brew. If you listen to Line Up and E. 32nd at half speed you’ll hear exactly how it was recorded. Piano an octave lower improvising in real time over a prerecorded bass/drum track played at half speed (sounding an octave lower). Both are then played back at regular speed and.. voila! For me, that’s a clear hint how “Line-Up” and “East Thirty-Second” must have puzzled the jazz community in those days. This sounds as if Atlantic Records felt the necessity to apologize for those “scandalous experiments” of their artist. Interesting, that in the very same year, in 1955, another great pianist rocked his, the classical community, with the groundbreaking interpretation of music by the ancient composer Johann Sebastian Bach: Mr. Glenn Gould, when he recorded the “Goldberg Variations” in his own revolutionary way.